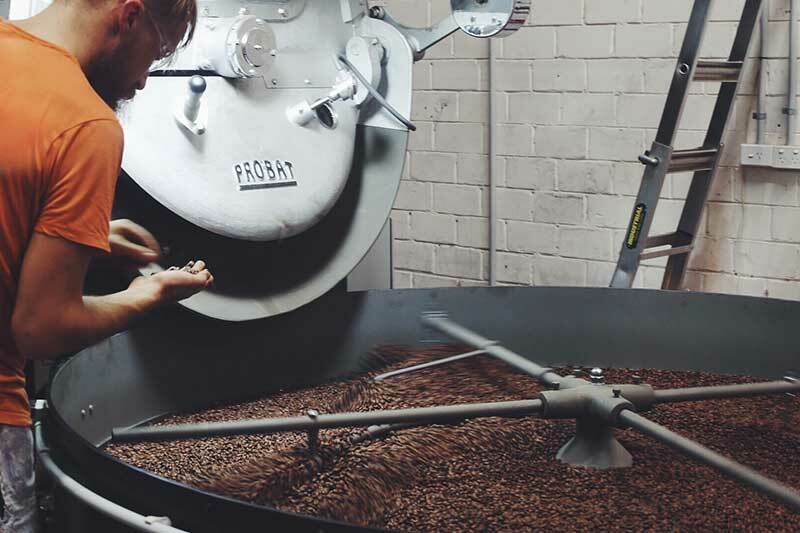 You’re already all over the fact that the age of your coffee, or days after roast, has a direct impact on how easy it is to work with when you’re looking to get the most delicious flavours. Coffee, as we know, is a fresh product and needs to be treated as such. You wouldn’t do your grocery shopping at the start of the month and expect your tomatoes to still be tasty on the 29th – the same concept applies here. Coffee principally ages through de-gassing. This is a process where some of the carbon dioxide gas inside the bean escapes into the bag (that’s why they get so puffy!). This transformation changes how you need to approach extracting the coffee to get the best result. A super fresh coffee will have heaps of CO2 in there, leading towards an under extraction. The word we use for this in geek circles is ‘insoluble’ meaning it’s hard for the water to dissolve the good stuff inside the coffee. Conversely, if you’re using old coffee there won’t be much gas left, making it easier for the water to pull the flavour out (more soluble! ), but potentially resulting in over extraction. If we go back to the tomato analogy, super fresh coffee may be seen as a firm underripe tomato, and your older coffee may be likened to a squishy, overripe tomato. If a coffee is young and insoluble, you need to increase extraction to get all the flavour out. You can try dosing down by 0.5-1g, fining your grind or upping your yield by 2-3g to get to that point – a bit of trial and error never hurt anyone! If you’re working with coffee that’s a little old, dosing up by 0.5-1g, coarsening your grind, or dropping your yield by 2-3g will help you out too. Happy brewing!